'Pukurlpatulatju Palyara Pirrtja' we are happy to make painting. Warakurna Artists paintins are fresh, diverse and reflect each artist's unique style, stories and powerful connection to country. Warakurna is a remote desert community situated approximately nine hours west of Alice Springs. The township is approximately one hundred and eighty people is nestled amongst the spectacular Rawlinson Ranges. Warakurna Artists art centre is one of the newest such developments in the Ngaanyatjarra region opening in March 2005. 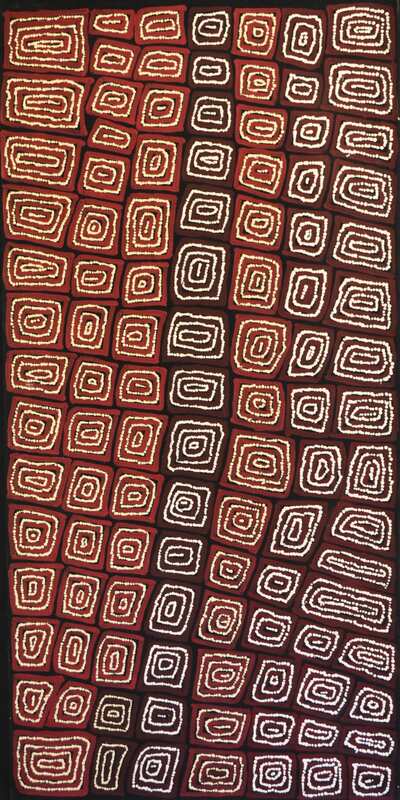 Warakurna Artist nurtures and promotes arguably one of the most significant art movements in Australia. It is a positive and powerful example of Aboriginal business managed and governed by artist and community elders ensuring the wealth of talent and economic returns are retained in the community. When you purchase artwork from an Aboriginal owned and governed art centre, you contribute significant benefits to Yarnangu communities and beyond.